White_dune is a low level X3D/VRML97 tool for Unix/Linux/MacOSX and MS Windows. It can read VRML97 and X3D files, display and lets the user change the scenegraph and fields. 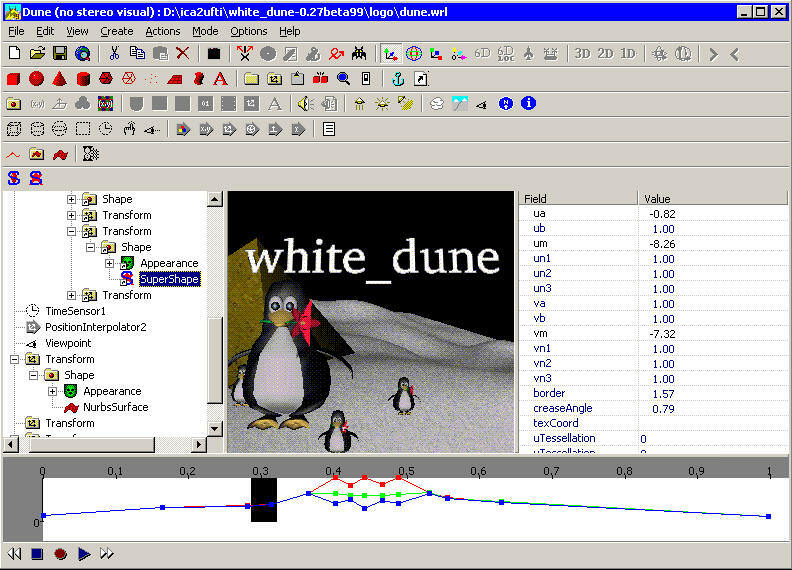 The White_dune software seems to be old or discontinued. If you need more information please contact the developers of White_dune (Universität Stuttgart), or check out their product website.